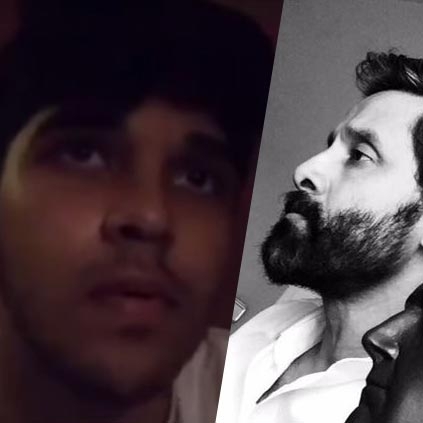 Vikram shared a dubsmash video of his son Dhruv Vikram through his Instagram account, with a text that reads as follows, "Breaking Badboy Dhruv. And here I was thinking he was behind locked doors.. studying for his 10th exams, 4 years ago." Will we witness the father-son duo acting in a movie together in the future? That would be fun but for now, just check out this dubsmash video of Dhruv.